Spotlight on…Melati and Isabel Wijsen! Imagine if you put all the energy you spend fighting with your sister into changing the world instead… I’m pretty sure I could solve global warming, feed all the hungry people, and save all the endangered species!!! Sisters Melati and Isabel Wijsen live on the tiny island of Bali, which is part of the country of Indonesia in Southeast Asia. Like the rest of the planet, Bali has a terrible plastic pollution problem. But because it’s a tiny island, that problem is more obvious than in some parts of the world. The country of Indonesia produces massive amounts of plastic pollution – they’re second in the world behind China, and the pollution from Indonesia makes up 10% of all the pollution in the oceans of the world. Because there’s so much plastic pollution in the oceans of Indonesia, the beaches of Bali are completely covered in trash. Melati and Isabel were 10 and 12 when they had a lesson in school about people who changed the world. They went home thinking about what they could do as kids living on a tiny island. They didn’t want to wait until they were older. So they started with a problem they saw really clearly on their island home: plastic pollution. 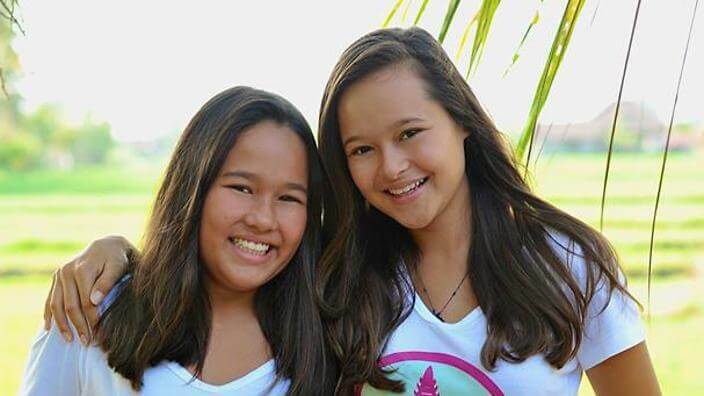 Together they founded an organization called Bye Bye Plastic Bags, which has a goal of removing plastic bags from beaches, schools, and their community. Today Bye Bye Plastic Bags has a 25-person staff and is making change around the world. In 2016, they got the Bali airport to ban plastic bags, and by January of this year, the entire island of Bali was declared plastic bag free! The larger country of Indonesia is planning to ban plastic bags by 2021! All because a couple of sisters decided to put their heads together and figure out how to change the world! It was a lot of work – one of their early actions was collecting 100,000 signatures on a petition. They spent a year and a half requesting meetings with Bali’s governor, and he only spoke with them after they went on a hunger strike (supervised by a dietician). They’ve organized a beach clean-up in Bali with over 12,000 volunteers, given a TED talk in London, and appeared at the United Nations in New York. If we all do something like this in all our communities we are sure to make a difference to this world or inspire people to help us!! These girls are saving our world! Buh-bye plastic bags! And remember – everybody can change the world. If they did it, YOU can do it too! These girls are amazing! I admire them! My role model! I’m trying my best to not use plastic! Wow! These girls ROCK! They are really helpful in many ways. Bye-Bye Plastic! Great Job sisters! I live in Indonesia too, I want to meet them. I am so jealous right now. I feel like I can’t do anything good for the community. Course you can! Don’t be afraid to do it because you are a kid! THAT IS AWESOME! But my parents a BIG litterbugs. They don’t care about the world. you guys are awesome I would love to meet them !!!!!!!!!!!! Wow! I admire these girls! They’re amazing! I changed my name from Book Reader to Dorky Book! I just wanted to let you know. I didn’t write comment 11. I heard about a fish that was found with a plastic bottle it ate, and a baby whale that was found on the shore with a great amount of plastic. I’ve been trying to use less plastic, and it was really hard! I studied about them in school! BYE BYE PLASTIC BAGS!